Houndsmen's Cream Plus - 2 oz. Jar / 57 grams. Reduces inflammation and provides temporary relief from itching. Helps soothe minor skin irritations caused by allergies, skin infections, parasites or dry skin. Also treats minor cuts and scrapes as well as poison ivy. Includes Beeswax and petrolatum for soothing relief. 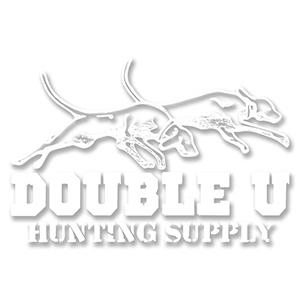 *We will often use this product on our dog's pads before or after long hunts in the snow/ice. If your dogs are just getting out for the first time this season, this product may help reduce tender paws applied before or after the hunt/training session. The extra added ingredient of Hydrocortisone in Houndsmen Cream Plus adds an extra boost to combat to combat redness, swelling, itching and discomfort. Directions: Apply cream topically to affected skin areas. Do not use more than 3 times daily. Caution: For use in dogs only. Not for use in puppies, dogs that are pregnant or nursing. Do not use in eyes or nose. Not for prolonged use. Do not apply to large areas of the body. Do not use where infection (pus) is present, since the drug may allow infection to be spread. If redness, irritation, or swelling persists or increases, discontinue use and consult your veterinarian. Discontinue immediaely if hives or severe redness develop after treatment as it may indicate an alergic reaction. Active Ingredient: 1.0% Hydrocortisone Cream. Other Ingredients: petrotatum, canola, beeswax, Vit.E. You're reviewing:Houndsmen's Cream Plus - 2 oz.